We’ve been looking at a lot of castles in England, Wales, and France. 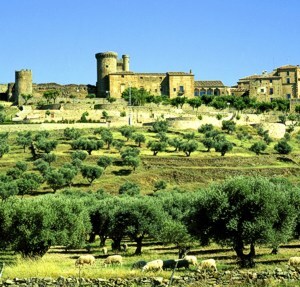 This time, the spotlight is on two Spanish castles, Parador de Mazagon and Parador Oropesa. 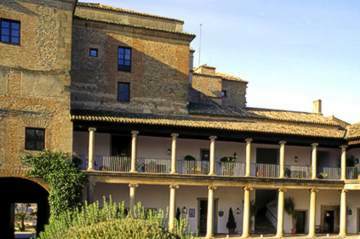 Parador Oropesa has served as a refuge for all kinds of people, from monks to travellers. The castle was restored in the 15th century, and this restored version still stands today. The castle has its own restaurant, which specializes in a lot of interesting and delicious local dishes, and the chef will recommend some of them, including a partridge stew and their version of cream puffs. We had a fabulous two night stay at Oropesa on the way down to Mijas. The parador and staff were excellent. We arrived at the Parador of Oropesa having travelled through the Gredos mountains and as ever had a good welcome. The room as always was most satisfactory. The public areas were very interesting. 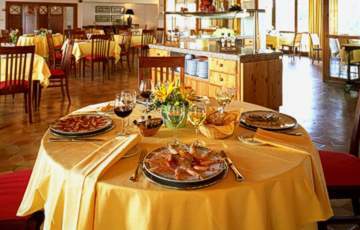 The food was good and the hotel has an excellent position near to the town. The staff throughout were as usual helpful and happy. This will be another Parador we would visit again. 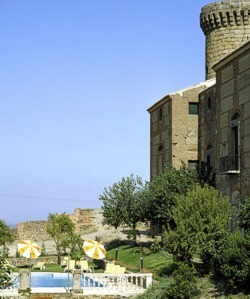 All photos are from the parador’s webpage gallery. Visit the site here. 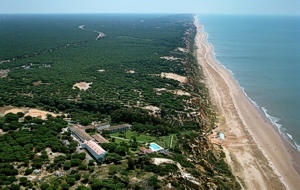 Parador de Mazagon is located near Huelva, Spain. 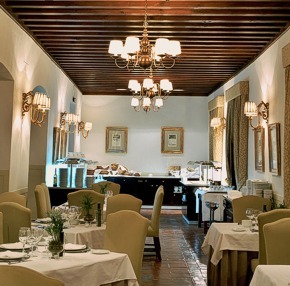 This beautiful castle hotel is named after Christopher Columbus, or Cristobal Colon, who, for a time, lived in the area. The Donana Nature reserve and the Mazagon beach front are found nearby. The hotel’s restaurant serves all kinds of food, but specialties include fish dishes, particularly shell shrimps, prawns, and cockles found in the area. A lot of interesting places surround the parador – churches like the church of San Pedro and La Merced, and the Monestary of La Rabida, are places worth visiting. My wife and I spent a lovely week here in September this year and would recommend it it anyone. 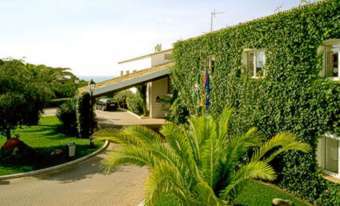 The location is stunning, the room was superb (with a terrace overlooking the gardens and pool for reading and sunbathing). The staff were welcoming and always friendly and helpful. 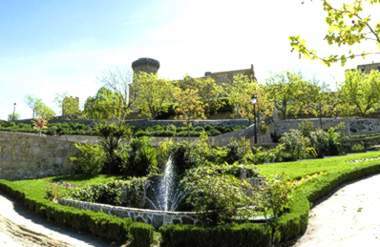 As usual the Parador hotels are excellent and the staff are also very good and attentive to your needs. Rooms are excellent and we had a sea view. Easy car ride into Huelva which has good night life and restaurants. many local places of interest and a day trip to San Antonio also recommended. 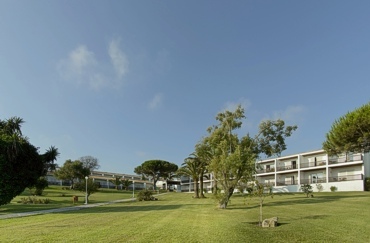 All photos taken from the parador’s webpage gallery. Visit the site here.